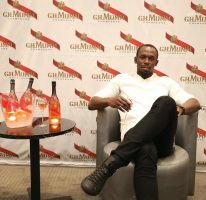 Sprinting icon Usain Bolt, through his Usain Bolt Foundation, has committed $1 million towards Special Olympics Jamaica’s efforts to compete at the 2019 World Games in Abu Dhabi, the United Arab Emirates in March. 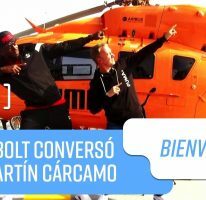 The retired athlete has also brought his long time sponsor – Puma – the German-based sports good manufacturers, on board, in a sponsorship, which will see the delegation receiving full gears and equipment for the championships, which runs from March 14 – 21. Bolt, who was present for a short handing over ceremony at the offices of Special Olympics Jamaica located inside the National Area, implored other athletes as well as corporate Jamaica to join in the efforts, while encouraging the members of the team, that were present, to represent themselves and their country to the best of their ability. 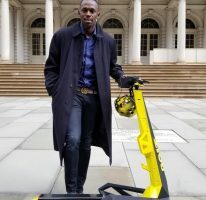 “I want to invite the private sector also to come on board and help them, to give what they can; give because it’s something good and I am just happy to be a part of it,” added Bolt. Special Olympics Jamaica’s executive director Lorna Bell, who noted that the airfare expense alone will cost the association US$143,000 (J$18.9 million), was extremely grateful for the support. “I am extremely excited this morning and I just want to say thanks and make a special appeal to Jamaica to come on board. We are still short, our budget for airfare alone is US$143,000. We are getting there, but we still need some more support,” Bell stated.